Very masculine cards, LOVE it!! Your cards are awesome and I am loving the bright sharp colors. Très jolies cartes !! ces nouvelles collections sont magnifiques !! Such great, manly cards :D - love them!! Love your cards. These papers would demand that I scrap some recent photos of my grandson. Great cards and I really love the woodgrain sequins. I too love the woodgrain sequins. They are on my "to get list" along with the What nots, bits and pieces, the rollerstamps and the entire line of Daper Dan..some of the papers I want two..one to use and one to fussy cut! 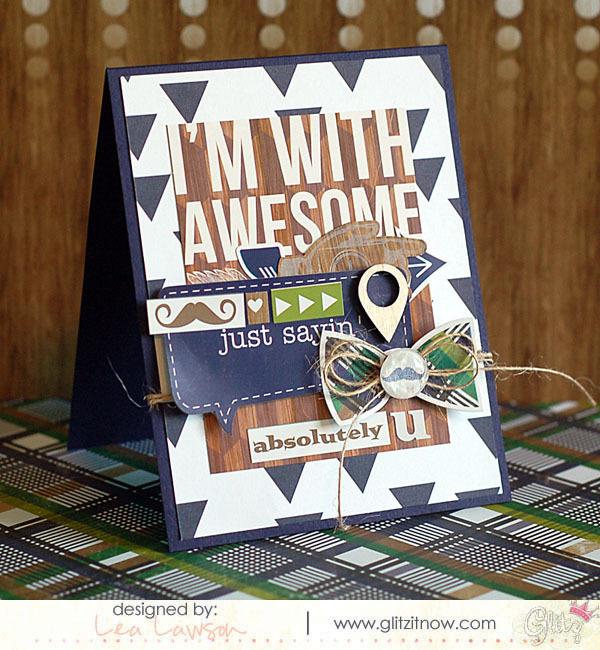 Your cards are just adorable and I am going to use your idea of the bow on the I'm with Awesome card...that bow is awesome! What fun cards, this line just makes me smile. Especially loving the little bowtie/mustache element on the second card! Very cool. I like the old time feel. Woodgrain sequins?! Awesome!! Just another reason to love this collection. Love your fun cards! Hey Cynthia! I should have mentioned in my post...the woodgrain sequins are from Studio Calico...not Glitz! Sorry for any confusion! Love these masculine cards! So inspiring! This is such an amazing masculine card! I really love it. Amazing! Every project is so cool. I like how masculine this line is and super fresh at the same time. I love the idea to make cards for you man, it hadn't occurred to me yet that this line will be perfect for that. 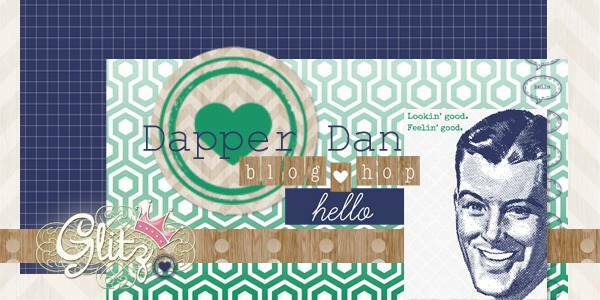 Like I needed another reason to put "Dapper Dan" on my wishlist. Thanks for sharing. Fun masculine cards! Lovin that Glitz! These are so fun, but still masculine! Love the clustering you did on the second card. Beautiful cards Lea! I especially love the second one. Just loving how masculine this line is! You have totally rocked the male card theme! Awesome cards! Love the dimension on them! Awesome cards--I like the woodgrain--esp the sequins. These are fabulous! I love the layering on them! these cards are so funny - great job! 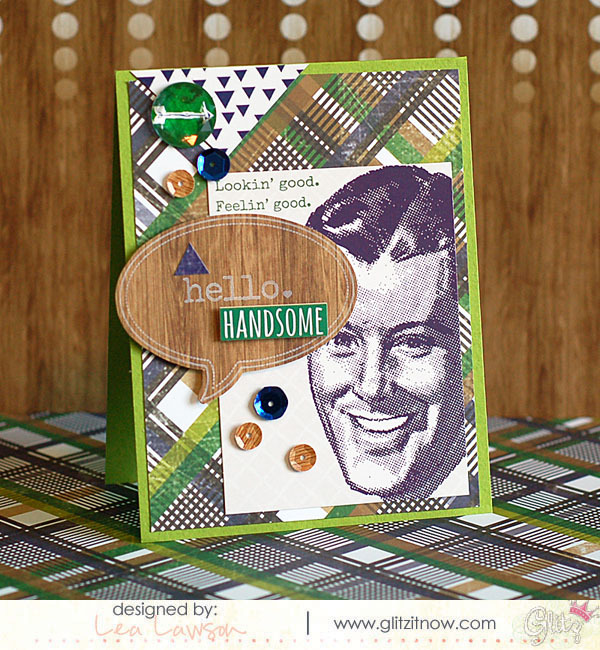 I love these cards and the old fashioned feel of Dapper Dan! Such a fun masculine collection! oh wow! Love this collection for cards! Love this manly line and your cards!